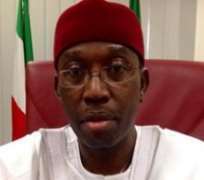 The Board of Delta Development and Property Authority (DDPA), has been dissolved by the state government, The Nigerian Voice can authoritatively report. The news of the Board's dissolution broke out Thursday through the Secretary to the State Government (SSG), Mr. Festus Agas. According to him, "It is hereby announced for the information of the general public, particularly Deltans, that Delta State Government has dissolved the Board of the Delta Development and Property Authority (DDPA). "Accordingly, I wish to use this medium to convey the deep appreciation of the State Government and Deltans at large to the former members of the Board for their meritorious service to the State during their tenure. "In line with due process, the former members of the Board are hereby advised to handover all government properties in their possession to the most Senior Public Servant in the Agency for proper record keeping even as the State Government wishes them success in their future endeavours".